Well, as I told you some time ago my poor Penelope's cancer returned. But they decided to send her to New York City!!! Memorial Sloane-Kettering Cancer Center, I think that's right. Anyway, it's one of the top in pediactric oncology hospitals there is. 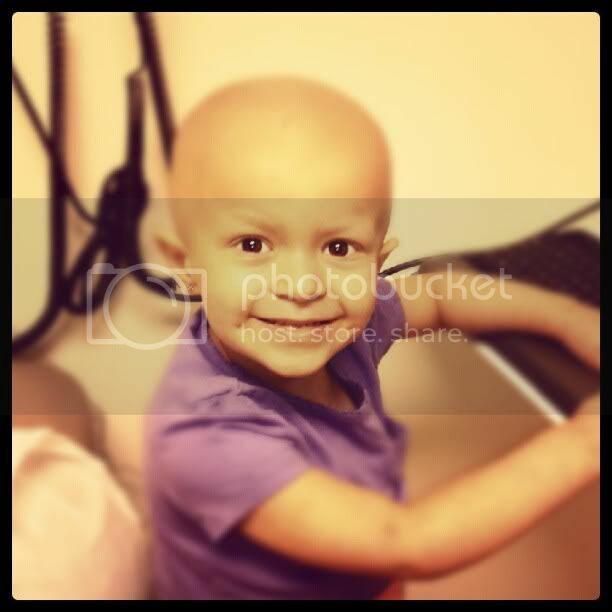 She is having 3F8 antibody therapy, they don't do that here in San Diego County apparently. And it's what her team of specialists say will teach her immune system to fight against the exact type of cancer cells that have plagued her little body since the day she was born. If this is the magic treatment, I say go for it. I just wish they would update us with a picture or two, I love to see her smiling face. She always seems to smile for the camera, she is such a attention glutton. They could use any donations they can get, so if anyone knows of anyone with some disposable income, I'm not saying that any of you have that, but you may know an angel out there and not realize it. I know that some of you know how expensive it is, and for a young couple...well, I don't think I have to explain my worries. I haven't been playing to many games lately, with Penny and my mom deciding not to drive anymore(her memory isn't what it used to be.) I check in on you and read the forums, the General Chit-Chat, accept any friend requests, maybe play a round of Monkey Gems. I miss every one. Hope everyone is fine, we are hanging in here. She has such a wonderful smile. Healing thoughts and prayers coming her way. And prayers for strength for all. OH NEENER....SHE GETS MORE BEAUTIFUL EVERY TIME WE SEE HER. MAY GOD BLESS HER WITH HEALING. Thank you for the update, Neener. I'll keep your family in my prayers. Hope this beautiful child makes a full recovery.She has suffered a long time now.Wish I could wave a magic wand for you and put everything right.Would't that be wonderful.